Upon arrival, transfer to your hotel for one night. Enjoy a relaxing and unforgettable cruise south along the Li River. See unique landscapes that are depicted on Chinese scroll paintings. The shallow river weaves between sheer-sided karst peaks. People here still travel the river on low bamboo rafts often using trained cormorants to catch fish. 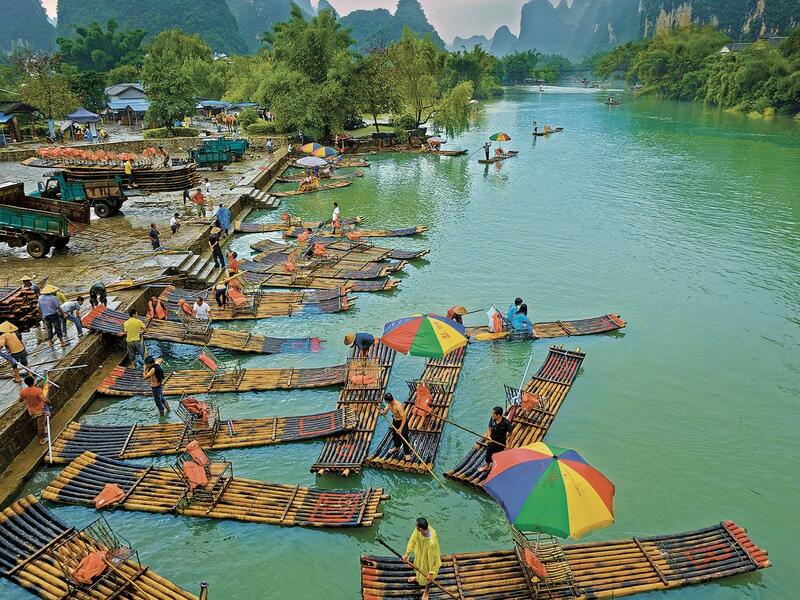 The cruise arrives at bustling village of Yangshuo where you will spend two nights. Enjoy a day at leisure to explore the surrounding peaks and rivers. Maybe hire a bicycle to explore the outlying villages, take part in the rock-climbing, or shops and bargain at the West Street, mingle with the locals at the restaurants, bars or cafes. Or simply just relax at your hotel. Transfer to the airport from Yangshuo.